This site allows you to view the wide range of our quality concrete products in your own home. We have a huge range of garden products to suit any outside landscaping project. We create a variety of concrete building supplies for industrial and household use. To make it easier to find our new products we have to offer we have listed them in the New Product section. They will also be listed in there particular category. Do you want to change that pathway to the backyard or add character to the front path. 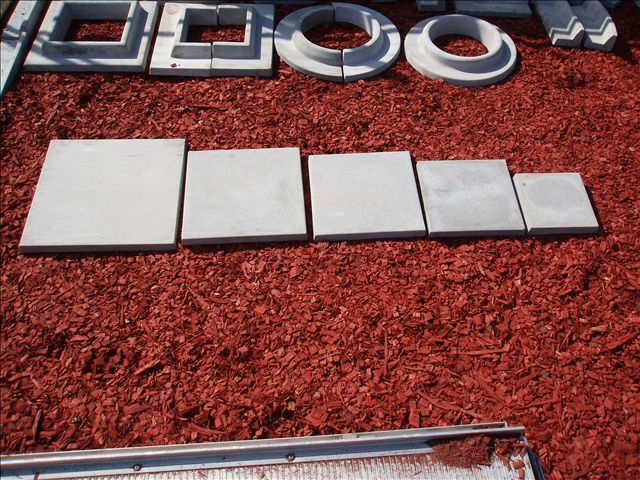 We have a huge variety to landscaping supplies to turn an ordinary yard into your dream. In this section you will find a variety of different garden stepping stones, in different shapes and designs. Garden edging to create large and small gardens or to enclose your favourite tree or rose using garden surrounds. All the products are available in a variety of different colours. Are you after a way in which to lay a concrete slab yourself in a day without hiring a concreter or that you can remove at a later date. If you are renting a house and you want to have a garden shed but don't like the idea of dirt on the ground and who is willing to leave the shed for the owner of the property. Then this product is for you! We make square and rectangle concrete slabs so you concrete whatever size area you want. We also have a quarter slab that allows you to create round slabs to go under water tanks. If you don't want the slabs to be just plain then we also have patterned or exposed stone slabs and we can colour the slab if you want a more formal appearance. For an interesting look you could you the hexagon slabs to create a great slab for under a galzobe. 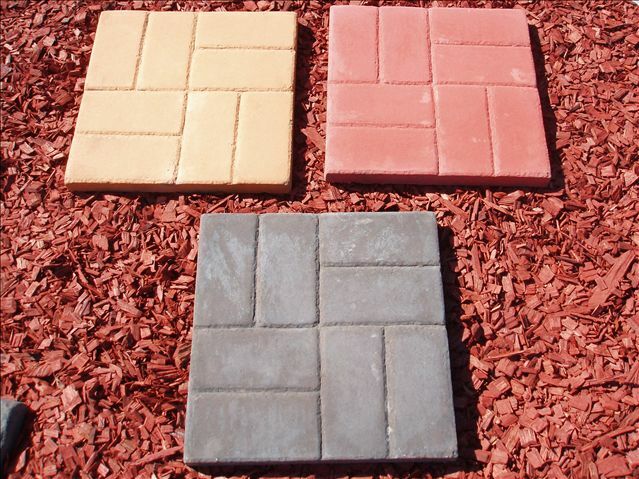 This section has all of you different paving slab styles. We create a wide variety of different building products. If your business is after concrete building products we may just have what you need and special order designs can be arranged. 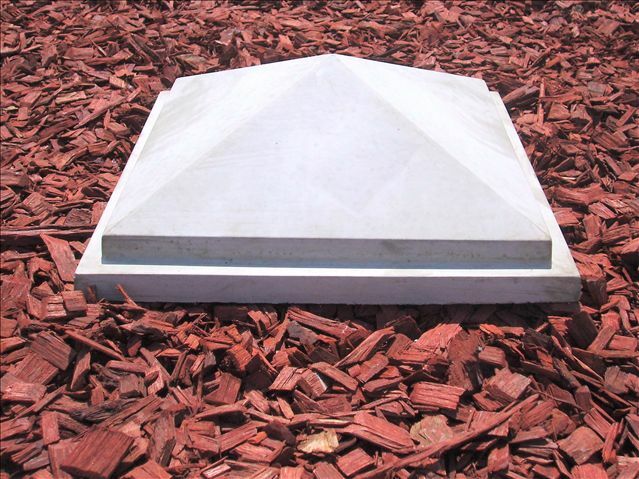 In our building supplies section you will find lightweight concrete slabs, drains, pier caps, steps, car bump stop, air conditioning slabs, plumbing equipment and gas equipment. You maybe asking where can you purchase this product?